Christie's. June 2006. 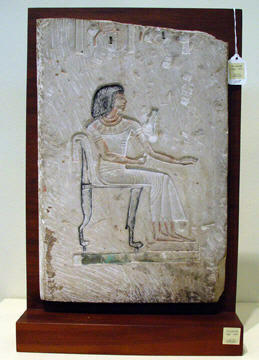 Egyptian limestone relief fragment. New Kingdom, Dynasty XVIII, late reign of Amenhotep III, 1361-1353. B.C. It is 17 1/8 inches high. It sold for $50,400. Sotheby's. June 2006. 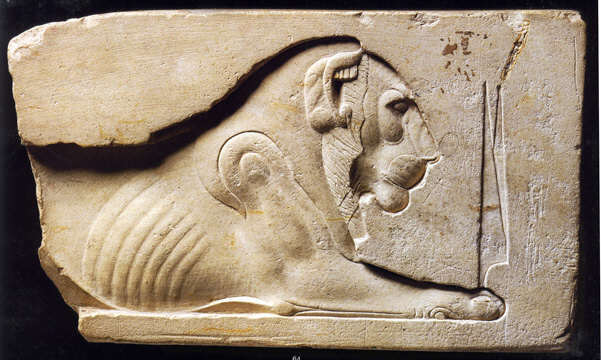 Limestone relief fragment depicting a crouching lion. 30th Dynasty/early Ptolemaic Period, circa 380-200 B.C. 3 7/8 by 6 5/8 inches. It sold for $114,000. Christie's. December 2006. Limestone relief for Ipi that is 48 3/4 inches high. It is dated to Old Kingdom, Dynasty V, 2465-2323 B.C. It sold for $120,000. Sotheby's. November 2006. 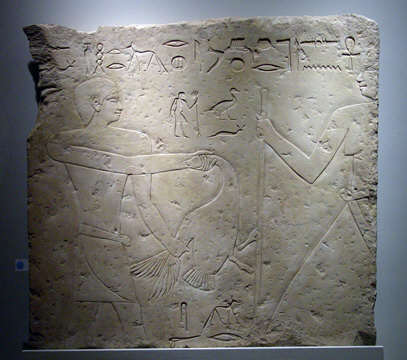 Limestone relief fragment from the second half of the 6th Dynasty, circa 2440-2195 B.C. It measures 42 1/2 by 43 1/2 inches. It sold for $84,000. Sotheby's. 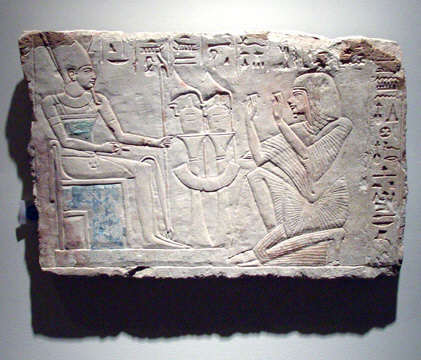 November 2006. limestone relief fragment, 19th Dynasty, Period of Ramesses II, 1279-1213 B.C. It measures 14 1/2 by 22 1/8 inches. It sold for $144,000.